Philip Jeremiah Schuyler was the son of General Philip John Schuyler who fought in the Revolutionary War and was elected to the Continental Congress, the New York State Senate and the Senate of the United States. He is considered one of the founders of Union College. General Schuyler was a personal friend of George Washington’s and served under him in the Revolutionary War. His daughter, Philip Jeremiah’s sister, Eliza was married to Alexander Hamilton. The James A. Hamilton who wrote the note on the envelope identifying the hair as George Washington’s was their third son. Alexander and Eliza were close friends of George and Martha Washington. It’s likely that Martha gave them the lock of hair after George’s death in 1799 as a memento, a common practice at the time, all the more so for prominent citizens mourned by many friends and indeed the whole country. 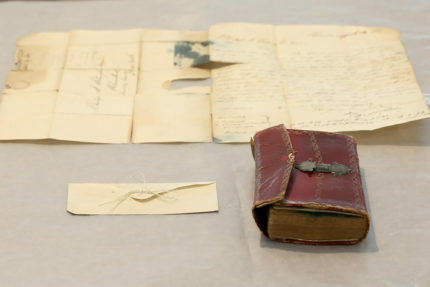 Officials with the Schuyler Mansion, a state historic site in Albany, believe that James Hamilton gave the lock of Washington’s hair to his granddaughters, Louisa Lee Schuyler and Georgina Schuyler, whose initials are on the envelope discovered at Union. 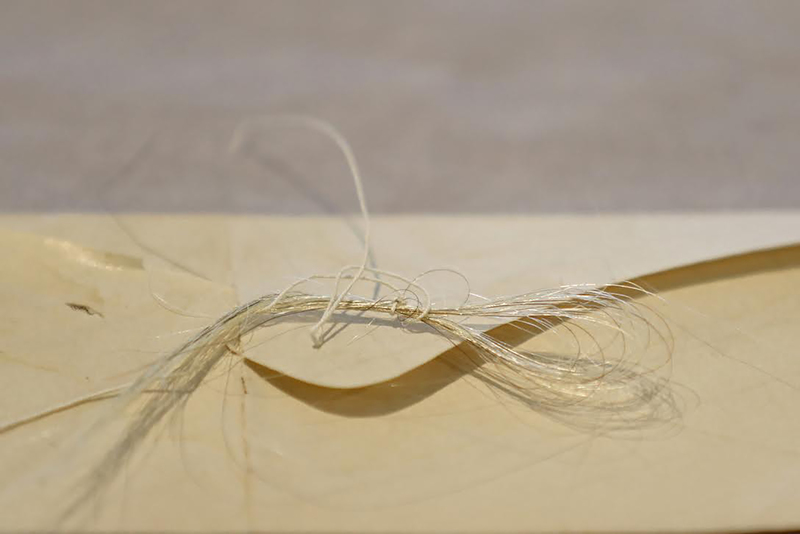 The mansion displays another few strands of Washington’s hair in a locket kept under glass. A lack of documentation on clear custody of the material found in Union’s archives or DNA testing makes it difficult to verify that the strands of hair are Washington’s. The handwriting believed to be James Hamilton’s on the envelope is similar to Hamilton’s handwriting that accompanies strands of Washington’s hair held by the Massachusetts Historical Society. DNA testing is not possible as the hairs have been exposed to too many hands and potential contaminants to allow for accurate results. They’re also cut, not pulled from the root as Martha was not a monster. Union College has no record of the book entering its collection, so there’s no clear line of ownership history that could help solidify the claim. However, the Schuylers had such a strong connection to the college and the hair itself is very similar to other strands that are confirmed to have been George Washington’s. 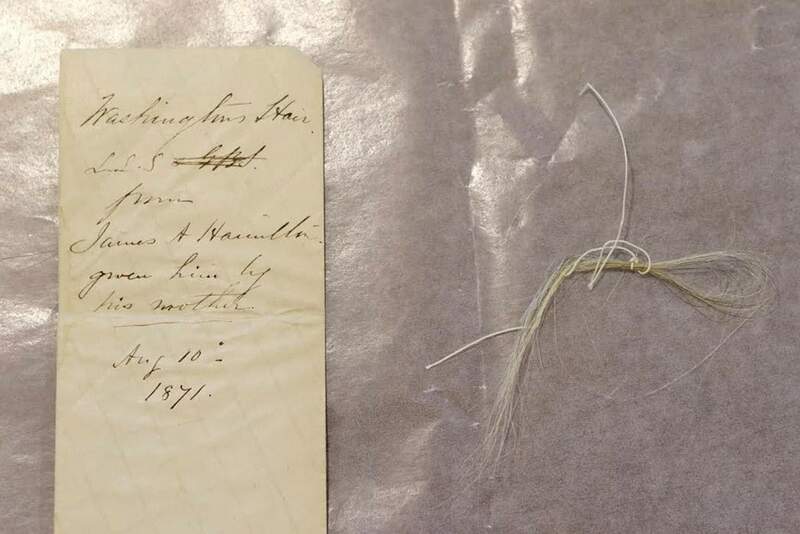 India Spartz, head of Union College library’s Special Collections and Archives, is currently conserving the hair bundle, the almanac and an 1804 letter to 1804 Philip Jeremiah Schuyler that was also found inside the accordion folder. The group will be exhibited at an undetermined point in the future.